Each generation of Progressives paints a picture for their children not of how things were in their time, but of how they wished it was. This is why you get the supposedly race-neutral Baby Boomers who fought for Civil Rights in the 60s overcompensating with their surprise when their Gen X white daughter brings home a black boyfriend. See the same for Gen X parents now trying to seem hip to the gay acceptance movement, and possibly Millennials to their more trans-accepting children in the near future. Meanwhile, the children are confused as to why their parents act so strangely. After all, this is the world their parents always told them they should accept, so why does this acceptance seem so ill-fitting on their parents? Because the parents weren’t really non-racist, non-homophobic or non-transphobic by and large… but they really wanted to be, and they knew they should be, but generations of learned behavior are harder and harder to un-learn. Forty-three percent of those surveyed classified as work martyrs were millennials, even though millennials only made up 29 percent of the 5,641 respondents. Ty Tucker detects a disturbing trend: More millennials are putting in long hours at work with no indication they’re doing more or better work or earning career advancement. In some ways, they’ve become their parents, who put noses to the grindstone over having a balanced life. And that’s not good. If you’ve been following the narrative on Millennials over the past few years, you might be suffering a sort of rhetorical backlash. Wait, you ask yourself… are Millennials lazy, entitled brats, or are they workaholics with nothing to show for it? Are they in their parents’ basement because they don’t know the value of work, or do they work too much without enough earnings to make it out of the basement? I don’t know what to believe anymore! Gaslighting (or gas-lighting) is a form of psychological abuse in which a victim is manipulated into doubting their own memory, perception, and sanity. For years, the story has been the same: you’re not working hard enough. You’re not doing enough. It must be your fault. Even though every metric and statistic told you the opposite, you still wanted to believe people you thought were trustworthy: the newsmedia, your bosses, maybe even your parents… but nothing seemed to make sense. If anything, working harder just put you in a worse state, with no life outside of work or with the creeping dread that you’re working for an inherently evil mega-corporation. In this state of confusion (which I years ago linked to literal torture and CIA mind games) you’re ready to believe what the people in authority tell you. You’re ready to be gaslighted. “Adulting” is a sarcastic term used by Millennials while doing something like paying taxes, fixing your car, or maybe even doing home repairs. The entire genesis of the term came from a fact that, while some of us are over 30 years old now, we don’t feel like we’ve been allowed into that exclusive adult fraternity. In the eyes of your parents, your older siblings, and your bosses, you’re still that spoiled little narcissist who wants a trophy… or maybe you’re not. Maybe, for all you know, they’re ready to accept you as an adult, but after a decade of torment and gaslighting, you’re not sure what to believe anymore. So you sardonically say you’re “adulting” while you pay your bills, all the while feeling nothing like the sort but looking and acting the part. Millennials don’t feel like they belong, and they have every reason not to: they stand to end up worse off than their parents and grandparents, all while working themselves to death at the now cutely-rebranded “side hustle,” Implying that even someone like a teacher with a full-time job will also have to ferry around drunk folks on the side just to make ends meet. And you wonder why we don’t feel like we’re the same competent, stable adults our parents were. So who did the gaslighting? Aside from the ever-present corporate news presence, so deep into keeping the status quo that they’ve almost become a Mobius strip of bland talking points, there’s a bit of blame to be placed on Baby Boomers. After all, they were the ones who, by and large, benefited from the postwar prosperity and then turned around and crashed the economy, ensuring their kids and grandkids would be up the creek. Ironically, there’s a fair amount of narcissism and entitlement coming from the Boomer camp, demanding that their days in Woodstock be lionized despite doing almost nothing in the past 30 years to stop income inequality and the New Gilded Age. However, they are the generation that currently controls the media, and so the narrative is upheld: we didn’t do anything wrong, it must be the kids’ fault if they don’t have what we had. Again, it’s ironic that the cognitive dissonance, narcissism and sense of entitlement for their generations accomplishments up to four decades ago, and laziness to do anything since is being projected onto the current youth, who we now know are working their backsides off for little reward. There’s something even to be said about the Boomers’ desire to be special in their parenting schemes. The much maligned “helicopter parent” is an easy target for the special-snowflake Millennial crowd, but if we turn that light back into the parents’ faces, it doesn’t look too good either. A generation so single-mindedly possessed to be unlike their parents (as most generations are) decided to eschew the distant, hard-nosed postwar parenting for a cuddlier approach, and thus the helicopter parent was born… not just as a rejection of past parenting measures, but as a self-sustaining support mechanism for their current parenting methods into the future. If I’m friends with my kids, the idea goes, they will continue to be happy with me and like me and give me the love I feel my own parents withheld… until, of course, they get old enough to hold it against me that I crippled the economy so I could fatten my stock portfolio. This could explain the almost comically high levels of vitriol aimed at Millennials who dare disobey the Boomers: it’s not that you’re saying something against my generation, it’s that you’re saying something against ME, personally. As Hillary Clinton’s campaign crashed and burned last month, I think we all saw the danger of attaching yourself a little too closely to your politics. It’s a long road ahead for both of us: Millennials need to learn that it’s okay to take a risk and maybe buy that house for a little dose of happiness, and Boomers need to learn that not everyone will agree that their generation is greater than, well, the Greatest Generation, i.e. their own parents. Millennials have their fair share of problems, like we all do, but it looks like it might finally be time to put the flagellum away and focus on our actual problems, so long as the gaslighting might finally come to an end. For Boomers, your time is running out, but it’s not too late. You’ve still got a little money and a lot of political power, so use it while you’re still at the top of the heap to make the changes you wanted back when you were a silly, 20-year-old hippie because, oddly enough, it turns out those darn hippies were right. If not, well… you won’t have to worry too much longer. In another ten years, Millennials will start to become the majority of the population and we’ll start to run the country. Don’t worry; I promise we’ll be merciful. So I finally saw the new Star Wars. The wife and I waited until it came to a small, independent historic theater that charges fantastic rates for Sunday matinees. The movie itself was fantastically enjoyable, if a little predictable and a little too referential at times… but its heart was in the right place and it was a hell of a lot of fun. There were a few moments where JJ Abrams started shining through in the dialogue, or the camera work, but I can’t lie to you… I cried with joy when I saw the X-Wings ride to the rescue over the lake at Takodana. BUT… the movie got me thinking. And you all know that’s never a good thing. I started thinking about my usual “chestnuts” as my wife calls them: history, sociology, and the patterns that can be seen in each. I also decided to dust off the skills I used to write my undergrad thesis, namely that people will often say or write things they are feeling into fiction because it is a more forgiving way to express yourself. So this begs the question… what does Star Wars: The Force Awakens say? In my mind, quite a lot. Think of how the different generations have experienced Star Wars. The Boomers saw it as the much-needed reprieve from the still-looming spectre of Watergate: good guys taking down bad guys, and now we can all feel a little better. For Gen X, they grew up with the movie and had the opportunity to look back fondly on a childhood experience and, more importantly, look on it again as adults and start to dissect it. Millennials also felt the rush as children, and had a front row seat for the prequels. Beyond the Millennials are children who have always known the prequels as a fact of life. The Boomers were the Dreamers, once upon a time. They were going to change the world, they were going to make it better… but Watergate was the final blow for a death of a thousand cuts as cynicism took hold. Most Boomers now see themselves as incrementally-minded “Realists,” believing that change can only truly come slowly. They now look on Star Wars as entertainment only, instead of one of the best cultural relics of their starry-eyed salad days. Boomers created Star Wars, but much like Kylo Ren, they aren’t own up to the light in them. Generation X was the first to question Star Wars. One remembers the famous scene in the seminal Gen X slacker-opus Clerks where Dante sums up Gen X in one statement: Empire was the best Star Wars movie. His pal Randall is even taken aback by such a statement, calling it “blasphemy.” Gen X spent decades dissecting Star Wars which gave us people like Marco Rubio, who now think Anakin Skywalker was just a misunderstood man who had some bad things happen to him, and not a mass murdering sociopath. In many ways, both in fiction and reality, Gen X fell in love with the Empire, and this is seen in the WTO protester turned corporate office-holders scattered through the generation. Gen X’ers knew the game to be lost from the get-go in their trademark nihilistic worldview, and so gladly fall in line, much like the children trained from birth to be First Order soldiers. However, Gen X still loves what Star Wars means deep down in the part of their mind that experienced it with chid-like wonder, and when it comes to pull the trigger, just like Finn, they can’t. The Millennials saw them both, the original trilogy and the prequel trilogy, as youth. They could see the good and the bad in both, some even going so far as to defend or even like the prequel movies into adulthood. To them, the horribly flawed world George Lucas bungled forth in the prequels is indicative of the time they live in: a time where cynicism reigns and an ineffectual government can do seemingly nothing against creeping fascism. Millennials feel for the young Obi-Wan and Padme, who appear to be the only noble figures in a society turning to garbage. They feel much the same way: wishing for those far off days of comparatively easy victories on the forest moon of Endor while grappling with the light side and the dark in themselves. Stand for your principles, or sell everything out for a job that barely makes enough to survive? Millennials are Rey, scraping out an existence yet dreaming of more and willing to go to the fight, knowing there’s nothing of any value left for them in their old lives. And what lies beyond? The brash pilot Poe Dameron, not quite understanding the nuances of the fight, fresh faced and daring, but a powerful person to have in your corner. Their skill with technology is almost innate, much like Poe in his X-Wing, leading us to only wonder what the future has in store for this little-explored character. As we’re already seeing in the social trends, those beyond the Millennials will do even more to banish the darkness of cynicism and approach the light once again. It will be interesting to see if those beyond the Millennials, now possible even the children of Gen X, will influence and help their parents the way Poe brought Finn along for the ride. And so, we close out the movie with the Boomers tortured by their crises of faith between the halcyon Eisenhower days their parents helped build and the cynical Reagan nightmare they put together. In their minds, they knew they had to slay the Eisenhower ideas in order to survive, but perhaps they were only obeying a higher, more sinister power? Meanwhile, Gen X lies in a coma after finally taking up the fight and falling nobly to the confused Boomers, who do outnumber them. The Millennials swear to take after the X-ers, and fly off in search of an old man, older even than the Boomers, to be their last hope and train them in the ways of the light. Ladies and gentleman, Bernie Sanders is Luke Skywalker: a crusader since his teens, a believer in the good of people, haunted by mistakes he has made and times where he has come up short, being dragged into the fight because he knows it is necessary. Though once thought extinguished, a fascist group is on the rise again, lead by a white man with orange hair (as opposed to an orange man with platinum blonde hair) and now a ragtag group of rebels, Millennials and those beyond, are fighting back as best they can to remove this threat. We have seen already, as this group destroys other establishment worlds, that this fascist rise means to subjugate the galaxy neath a booted, authoritarian heel, but no one took them seriously enough except the Resistance. The time is now for Luke to return and bring back order and peace to a galaxy in chaos, but he is not alone. He has the youth of today, and of tomorrow, with him. 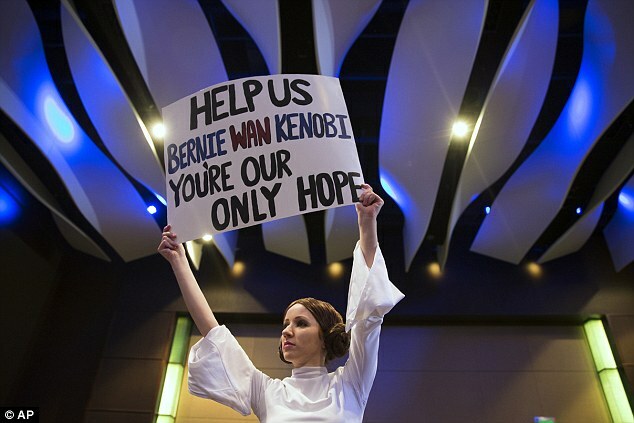 After the results of last night’s Super Tuesday, it is clear: there has been an awakening. First the dark side, in Trump, and now the light. Minnesota and Colorado are often seen as some of the most progressive states in the nation, and they see what is coming and what needs to be done. They have called out to “Bernie-wan” as their only hope, and it is time for nobility to make a comeback in a world threatened by cynicism. When the Man of Steel stands in his ruined city as a victorious god, that is a false nobility. When Rey seeks comfort in Leia’s arms, even after the battle against the Starkiller has been won, that is true nobility. When Hillary Clinton champions using an entire minority group as a tool, a “firewall,” that is a false nobility. When Bernie sanders stops his speech to attend to someone who faints, that is true nobility. This is a lightning in a bottle moment. If nobility cannot win now, it may turn to cynicism. Fear, anger, aggression, the dark side are they, and just like the generations before, the Millennials and those after them could fall if something is not done. It’s time for nobility to make a comeback. If not now… when? I’ll just come out and say it: Jimmy Carter was right. So we’ve spent 30 years now in this selfish, nihilistic America, where everyone hates everything that isn’t directly beneficial to them, cutting throats and stepping on necks to get ahead in an America that represents more the fantasy of Ayn Rand and the reality of Rockefeller, Morgan and Carnegie than it does in any way resemble the teachings of Christ. How did America simultaneously take a hard turn into such cruelty and barely-concealed hatred while claiming the moral high ground and professing to defend the very values that their programs have helped destroy? The answer to that question is the defining rhetorical and political question of the last age, and it is time now for my generation, for our generation to finally give a definitive answer. The hypothesis has been promoted, the experiments have been done, the data has been collected, and conclusions must now be drawn by the Millennials on the experiment that has colored their entire lives. It should not be surprised to many in my generation that the conclusion is not a positive one: wages are stagnant, inequality is higher than ever, and America is poised on the cusp of establishing its own inherited aristocracy, resembling more and more the European feudal systems we had originally fought the War of Independence against. Again, I ask, how did we get here? The answer involved two concepts that might not seem out of place in a children’s television program, but which are fundamental concepts that should not be lost as maturity sets in. Often, the biggest problems have simple answers, and in this case it all comes down to the idea of kindness versus hate. It starts in 1964. Fresh off a historic shellacking in a Presidential election, the Republican party finds itself struggling. They are finding themselves in danger of becoming a permanent minority and completely falling out of step with the times. What’s worse, they are finding themselves split between Southern and Northern factions: the South, formerly a Democratic stronghold, has seen their number start to shift to Republican candidates because of Lyndon Johnson’s support for desegregation and anti-racism legislation. To the north, the wealthy, pro-business Republicans of Coolidge, Harding and Hoover are seeing themselves taxed more than almost ever before. At peak, under the moderate Republican Eisenhower, taxes on the wealthiest were 90%, and now that darn LBJ is going to continue soaking the rich to pay for his Great Society. What’s a Republican party to do? In 1968, they nominate a fairly surprising choice for President: Richard Milhous Nixon, last seen sulking off after losing a gubernatorial bid in California back in 1962. Nixon, as a man and as a President, is a nearly endless font of interest for historians: he’s the tough on crime Republican who also founded the EPA, he’s the historic China-goer who also increased bombing in the Vietnam War, and overall he’s a good argument for stating that yes, America has had mentally troubled people in elected office, albeit undiagnosed. Paranoid, untrusting, and thoroughly pessimistic, Nixon seemed ill-fit for the highest office in the land, so much so that President Eisenhower often undermined his own Vice President. However, Richard Nixon was an ambitious man (so much so that it would be his downfall at Watergate) and unlike his close loss to Kennedy in 1960, there wasn’t going to be any limitations to what he would do to assume that office this time around. And so the hate began. Formerly Democratic Southerners first started gravitating to the Republican ticket in ’68, where Nixon’s aforementioned “law and order” platform was clearly intended to have a racial bias. His intonation of the “silent majority” again played on the not-yet-healed, and still-not-yet-healed-today wound of racism and desegregation that stood as a black mark on American history, no pun intended. It was called the Southern Strategy, and with Nixon’s ’68 campaign, the message was clear: I will protect you, Old White America, from all of the frightening change that is being laid upon you. Your world is changing, but if you vote for me we can try as hard as possible to hold back the tide. Now, over 40 years later, they are still standing astride the waves, but now the water is at their waist, when once it was at their ankles. That’s the tricky part of basing your entire party platform on hatred: hatred of the other, hatred of the not-like-you, the not-from-here, the not-as-fortunate. Hatred is like a gasoline fire: it burns hot, but quickly, and spends all of its fuel, needing to be replenished almost constantly. That is why you’ve seen the Republican line get hotter and hotter in its hate since Nixon’s era. We went from Nixon’s coded messages of “law and order” to Jesse Helm’s “White Hands” television ad to Bush’s “Axis of Evil,” or the “Sanctity of Marriage,” an institution that fails 50% of the time. Most distressingly, the present day features the bluntest hate yet, where the first African-American President is portrayed as an ape, castigated during the State of the Union, questioned on his ability to be a “real American” to the point of demanding to see a birth certificate, called a “boy” by other elected officials, told that he’ll have to “shuck and jive” and “throw spears,” and a milieu of other awful slurs. Most perplexingly, President Obama, the man who bailed out private auto companies and private banks, is held firmly in the minds of many Americans as a Communist. Such counter-factual thinking and blatant disregard for reality seems bizarre when looked at without the proper context. The fire of hate is burning out, and it constantly needs more to satisfy it. Much like drug addicts, modern far-right maniacs must constantly up their dosage to get the same feeling and satisfaction, to the point where we are now burning tires, plastic, whatever can be found close at hand to fuel the fire of hate that regrettably sustains our modern American Republican Party. And what of kindness? It is mocked by the right-wing hate machine specifically because it seeks to disarm their dogma of ever-increasing hate and war and violence. As I’ve mentioned before, it was kindness, not hate, that rebuilt Europe after World War II and kept it safe from a resurgence of fascism. It was kindness and forgiveness that rebuilt Japan and Korea into economic powerhouses, and it was even kindness that brought the Confederacy back into the Union following the American Civil War. Kindness does amazing things, and best of all it is self-replenishing. Like a pure spring of water, kindness is constantly refreshed because, well, it feels good to be kind. After the horrors of a World War or a Civil War, or even a shock like the Great Depression, the fire has burned itself out, but the water still flows eternally, sustaining America rather than consuming it. An America governed by kindness can do great things. It was the kindness of Kennedy that created the Peace Corps and put a man on the moon. It was the kindness of FDR that saved people from starving and gave them purpose again. It was the kindness of Robert Kennedy and Walter Mondale and Lyndon Johnson who saw the horrors of poverty in our own nation and fought to rectify it. Kindness builds bridges; hate burns them down. Kindness is an America where people don’t have to worry about getting sick, or worry about keeping their house or providing for their family. We can do such great things if we carry on the legacy of kindness put down by men like Roosevelt and Carter and Mondale and the Kennedys. Living by the universal values of kindness put forth by President Carter is tough, but it is the right thing to do. Carter truly believed that if America rose up and defended those values, in deed as much as in word, that it would save the country. Unfortunately, he lost an election asking all of that of the American people, but History has borne him out as correct in the long run. It is a frightening proposition to trust others, to give to others and possibly not get anything in return or, worse, have it blow up in your face… but that is the risks we must take to make the world better. If you lock yourself in your house while your neighbor’s is burning, you may be safe for now… but the fire of hatred always needs more fuel, and your house is right next door. So I really do like NPR. If all of my money didn’t go into piffling things like food and diapers (for the baby, not for me… but I do occasionally enjoy food), I would probably donate a significant amount and would swing that totebag with pride at my local farmer’s market, because that’s the kind of guy I am. Yesterday, I was driving a rental truck out to fill it with diesel fuel and a special diesel exhaust fluid now mandated by federal law (thanks, Obama!) and I popped on NPR to feed my mind. Now, maybe I’m just crazy, but it occurs to me, (as Sean Connery once said so beautifully) that if you find yourself in a system where your future and livelihood is dependent on embracing random chance and living your life in a constant stress loop of always looking for the next best thing, a loop that will do nothing but shorten your life and leave you constantly unfulfilled… well, in my mind it means that you need to CHANGE THAT SYSTEM. As with most of my observations about “things today” it seems like we’re building up to something big, especially if you know your History… and I do. The more I read, and the more I think, I see that we will be faced with a simple challenge now and in the near future to prevent the more distant future from being, possibly, a nightmare. We fight to fix these broken systems now, or we will be fixing for a fight later. Minions. Penguins. That terrifying McDonald’s Living Happy Meal Abomination. Silly, bizarre and often silent, these wacky little moments in children’s films are beginning to come into their own and, with the examples of the Penguins and the Minions, are starting to spawn their own movies and spinoffs. Of course they are. The “main” characters in their features are all pretty darn boring. Does the popularity of the Minions from Despicable Me or the Penguins from Madagascar all but prove that the writers have no idea how to make interesting or engaging main characters? How many times lately have you found yourself being much more interested in a side character than in the designated hero of a film or television show? I suppose this has always happened to some extent: you can go all the way back to people like Falstaff for an example of a smaller character becoming widely popular… but does it ever feel like modern writers are just lazy enough to go to the same boring, predictable wells over and over again? Or… is it that they are too locked in to a rigid profile for each of the marquee stars that they can only express themselves through side characters? Is there a certain list of do’s and don’ts for our Hollywood heroes, turning almost every single main character into a bland, supposedly “relatable” protagonist who spends most of his time being outshined by yellow one-eyed butter goblins? One of the main reasons I liked Scott Pilgrim so much is because it wasn’t afraid to make its hero have problems and be imperfect… and that movie bombed terribly. Is there some sort of system put in place, or do audiences just demand, horribly bland and “safe” main characters, and if so… why? What was that boy really afraid of? Or afraid of what I stood for? A big, white man like me? How deep did his terror go? Than live as a monster? Oy, that sounds so quaint now. Anyway, I wrote it on the effect History, in all its forms, can have on the fiction written by not only those who are living through the time, but also those who came after. 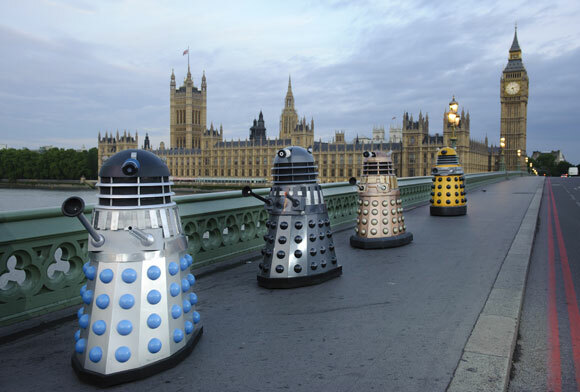 For instance, if there had not been a Nazi scourge laying siege to England, with their notions of racial superiority and brutal policy of exterminations, you would never have had Doctor Who’s Daleks giving the sieg heil as they conquered a fictional future London. However, this was not a scene on cinema screens during the war. No, it was seen on small screens as a television program only twenty years after the Normandy landing. Isn’t it amazing how humans learn to cope with things? The survivors of the Blitz were sitting down with their children, children who possibly knew nothing of the war-torn London of the 1940s, and watching the cranky old Doctor save the day every week. In a world that was then dominated by the threat of global Communism and thermonuclear war, fiction became a terrific means of escape and wish fulfillment for societies of all stripes. Take, for instance, the Klan epic Birth of a Nation, which cemented the American South’s desire for a return to the antebellum way of life, a desire that still stubbornly persists to this very day. We can often say things in fiction that we couldn’t, or don’t want to, say in reality. So what does that tell us about the current crop of hot fiction, designed for young adults, but read by adults as well and, most importantly, written primarily by Boomers or GenXers? All in all, a rather dismal affair: dystopian futures with corrupt leaders, doomed cancer patients in love, and an endless array of either stark and empty or dark and foreboding covers… and this is what we want our kids to be reading. The majority of these authors are squarely in the wheelhouse of the Baby Boom or Gen X. There are occasional outliers, such as Divergent’s Veronica Roth, but that can simply be seen as a game of “Follow the Leader” after Boomer Suzanne Collins’ Hunger Games went bonanza. A lot of these books play into seminal themes of young adulthood and adolescence: loneliness, bold risk taking, anti-authoritarianism, and identity formation. There’s a reason we think teenagers are selfish, it’s because they are programmed to be. They are trying to figure themselves out as a nervous, confused bundle of hormones on the blink, so naturally a lot of their time is taken up with thoughts of themselves. So, in seeing an easily relatable protagonist of about their age being special and chosen and the one who tells all those pesky adults to shut up and leave them alone… the formula works. Is it a particularly good formula to be reinforcing in our teens? That’s a conversation for another day. Today, let’s look instead at how these fiction books (and, with the popularity of nihilistic shows like The Walking Dead or Breaking Bad topping the ratings, it’s a cross-platform fiction phenomenon) mirror the mindset of those who are creating them. It’s always a curious situation where the 40-and-50 year-olds of any given era are usually the ones creating content to satisfy the 10-30-year-olds. In a time such as today, with the financial crisis leaving a huge gulf in the lifestyle between those two groups, it is interesting to see how those who grew up in better times view the world: dark, hopeless, broken, violent. The starry-eyed idealism and simple white hat/black hat dichotomy of fiction written by those who beat back the Nazis or the Soviets is few and far between. Remember, even when Boomer George Lucas came out with Star Wars, it was seen as a success partially because it offered a retreat from the horrors of Watergate only three years before. Curiously, when one of the first prominent Gen-Y authors hit the scene with Eragon, there were cries of the two stories being too similar. Both are stories written simply, with humble heroes defeating cosmic evil. In the wake of Watergate, it was celebrated. In the wake of 9/11, it was considered tommyrot. So, what happened? Well, here’s when I take the plunge. Come along if you’re ready. One of the hallmarks of the so-called Reagan Revolution was fear: fear of the other, fear of those different, and most importantly a fear that the world as you knew it was going to change. As a result, the narrative swung violently to far-right ideas of superiority and Objectivism, where it doesn’t matter how much others suffer as long as you get yours. The Hippies of the Summer of Love, so thoroughly burned by Watergate, turned cynical and embraced this worldview, leading to the popular “Birkenstocks to briefcases” trope seen in the 80s. Gen X has followed suit, also out of the post-9/11 fear, going from being rioters at the WTO to managers at your local Walmart. It seems that, while every generation rages against the machine in their youth with high idealistic fervor, the current climate of high income inequality and feckless government action seems to squeeze the rage right out of each generation following Reagan’s Shock Treatment. You didn’t see this in the Postwar, where the American economy worked for everyone: you saw bright fiction with square-jawed heroes and clear cut villains. In fact, most communities in America could be described as downright communal, best exemplified in the classic “cup of sugar” metaphor for good neighbors. But as the squeeze was put on, people shut themselves more and more inside their homes, inside their lives and their possessions, and leave anyone else out in the cold. It’s that mindset that is breeding this current dismal crop of fiction, a reflection of their malaise and their desperate attempt to cry out with that last bit of idealism still left in them. This mindset is being shown in the fiction, written by the previous generations and meant for the current one… but that doesn’t mean the current generation has to accept it. Quizzically, it seems, that when there is plenty of reason to be sad (Cold War, Great Depression, Great Recession) generations will often find creative outlets to make themselves happy, whereas when times have been good (the relative Clinton paradise of the 1990s) you see culture going out of their way to make fiction that makes them sad. Indeed, in times of such wanting and despair, it seems like the current generation is poised to rejected the status quo nearly as a whole. If the Occupy movement wasn’t enough proof that bad times + bad feelings = reaction, then there might be something to be said about adult fans of a show where rainbow-colored marshmallow ponies defeat nihilistic evil through the sheer power of friendship. Think about it. I do truly believe this system is unsustainable, as the fiction of the Boomers and the X’ers goes to show. Even now, shows like Adventure Time and, yes, My Little Pony are starting to show the optimism and desire for fun in both Gen Y and the generations that are growing up in the remnants of Ronald Reagan’s culture of fear. Given the right circumstances, these generations may finally be the ones to break the cycle and return us to the prosperity and happiness of our parents and grandparents. Keep watching the fiction: it may, in the case of the Daleks, speak to our ways of dealing with problems of the past or, possibly, deal with our way of dealing with both the present and looking toward the future. When I was a kid, $100 was an incredible sum of money. Almost unthinkable. My grandmother used to send me a bill every Christmas, and I deposited it into my savings account (as if I had a choice) like it was wood from the True Cross. When I was in High School, $100 was still a lot of money. Heck, it could fill up the tank on my F-150 five times over. Imagine… if I was a teacher, I could make 400 $100 bills a year! Wow! Now, I’m almost 30 years old… and guess what? $100 is still a lot of money. Turns out I only made about 150 $100 bills last year, so every one counts just a little bit more than it should, probably. Of course I loved Robin Williams. From the moment he popped out of the lamp, I loved him, and so did the rest of my generation. We loved him when he was a painfully rapping fruit bat, we loved him when he lit his fake bosoms on fire. We loved him when he followed up Hamlet with Jack and Good Will Hunting with Flubber. He was a perfect standard bearer for us: manic, scared, desperate for attention, and willing and able to do anything that was asked of him. We reveled in his triumphs, and we forgave him a lot, probably more than any other generation of his audience ever did. Hell, I really like Bicentennial Man. But there’s one thing he did that, now, as we look back on such a varied and incredible career, that I cannot forgive him for. You see, I grew up pretty poor: I was out to lunch with some well-to-do folks last weekend and they were chatting about how many presents they used to buy for Christmas and how they would get all sorts of wrapping paper and turn the paper into a game (whose presents would have which paper and so on) and I didn’t have the heart to tell them the story of that one Christmas where all our presents were wrapped in brown grocery bags and, like all stupid children when we asked why, I remember my parents saying that Santa had asked Mom and Dad to wrap the presents because he was in a hurry, and they just hadn’t had any other paper around. But what we did have was an IGA, a Kwik Trip, and a VCR. We rented movies like crazy: some good, some bad, and some I spent the majority peering over the back of the couch because of some questionable material. To this day I still don’t know what happened in that scene of Rising Sun. Still, we watched an awful lot of movies on the weekend in the house I grew up in, and I because I had three older siblings and parents who didn’t believe in talking down to their children, I often sat in front of the old Zenith and I saw a lot of movies that were challenging to an eight year old… like Dead Poets’ Society. To make Examples of another Kind? Robin Williams played John Keating in Dead Poets’ Society. Robin Williams is dead, and John Keating died with him. The next great teacher is now flipping burgers or part-timing at three to four different places because he foolishly focused on being a good teacher, no glad-handing his way into good graces or making sure he knew the difference between a down-block and a pulling guard. Our best teachers will never be teachers, because not only have we as a society put less importance on education, but because we have also put less importance on thinking and learning as a life’s passion. We don’t care if Ebola ravages a continent far away, we only care that the new iPhone is on its way. We’re too selfish to realize that the next generations are doomed, and we’re too scared to reach out to a neighbor to try to make this world a better place. The unselfish, the ungreedy, the incorruptible people like John Keating are the ones bagging your groceries, and you have made them this way. You are killing them with your avarice and your indolence, and if you know what those words, then please thank the teacher who taught you them. Why are we having so many of these? When I was a kid, we didn’t go to Walmart often. In short, it was prevailing culture of the day that Walmart was where the “White Trash” went. My family went to Kmart, for the most part, because we wanted to aspire to what was considered a more “lower middle class” sensibility. Kids that went to Walmart got made fun of. After college, I went to Walmart because I actually was that poor. Now, I can’t go to Walmart, on pocketbook or on principle. When a country, in the span of twenty years, turns en masse to a company that was previously only selling to the lowest earners, what does that say about the state of the country? I might catch it for this… but I still love this show. In fact, I think I understand it, all of it, much better than when I just needed a creature comfort for disaffected youth. 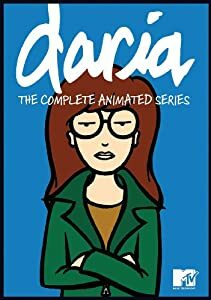 In fact, and I’ve talked about this before, the snarky, mistrusting, cynical attitude actually fits in much better with today’s crap sandwich of a world as opposed to the prosperous and fairly rosy days of the nineties, when the Daria archetype was created. Isn’t it funny how people only want to be cynical when things are going good? I keep noticing how I seem to be ahead of the curve on a lot of things. Not just politics or education, but emerging socioeconomic trends. In my last rundown, I covered my college-age theories on education policy and how they matched up with research being done by doctorate-level studies during the same time. This time, it is some of my most fiercely opposed writings from this site’s infancy, on Livejournal, now almost ten years ago that seem to be bearing fruit much like I had predicted it would. Our generation was promised the world, money, the good life, you name it… when our generation comes into the real world (if we ever leave Mom’s basement) things will not be good. We were promised a lot, and there’s really not a whole lot left for us now. These comments were made by me while the housing bubble was peaking, about a year and eight months before the stock market began the decline that signaled the start of the Recession. These comments were made a few months before CNN proclaimed that job prospects were up for the graduating class that year. Sadly, my generation would not graduate for another two or three years. In an article published in August of 2013, the US Census reported record numbers of young adults living with Mom and Dad. They are just more concerned with how they are put forth on the outside and how everyone else perceives them. They would rather be hollow little dolls acting out a charade of a life than actually have some fulfillment…because people are impressed with the fake little show they’ve put on. More in Ms. McCain here. While we’re on the subject… did this even get major news coverage? 100% or not, articles like this are putting forward a stereotype, and with all stereotypes there are those who will prove it right. Anonymous Comments to GenerationExtant, 3/27/2006. Note how both seem to have some sort of personal stake in their anger, the first probably from being told he or she is not living up to certain standards (or “perfection”) and the other from being seemingly snubbed, rejected, or disagreed with in the past by yours truly. There needs to be more focus not just on positivity and making sure things are “good” but also on how to handle the bad when it comes along. “Throughout my entire life, I remember slogans and propaganda “you are special” “you are unique” “the power of positive thinking.” And yet, at the same time my generation has been bombarded, possibly more than ever before, with influences of media which paint an absurdly inaccurate picture of life that will be: our future. We see certain people, broadly drawn caricatures of society, and their piffling troubles that the writers make important to resolve in a half hour, full hour, whatever the time format. We are inundated with the Tanners, the Seavers, Zack Morris, Kelly Kapowski, MTV… and suddenly our young minds put it all together. All of those slogans are meant to make us like these people! If we think positive, and believe we are special, we will end up like these people: with their problems, but ultimately happy at Bayside High. So the die is cast: we have been influenced, and we now know what we should be in our lives. But what if we have a thought, or an idea, or something happens in our lives that stands in the way of this unattainable ideal of bubblegum utopia? Repression! We simply push it away, hide it, try to ignore it in our pursuit of a greater life, a simpler life, a sitcom life that absolutely cannot be achieved, yet we are still convinced that we can. And, because there are no parents present to shake their heads and say “this is asinine!” and explain to their children the difference between the Tanners and real life, the children fall into a trap that is nearly impossible to escape. “I’m angry because I expected more from this situation. I’m sad because I was hoping this wasn’t the same old thing. It’s not just that I’m being proven right, it’s that all of us together can do some good and make things work out right. But they still act sad and dour? For those of you that know me, you probably know I take terrible care of my feet. I hate wearing shoes, or socks, and one glance at the shoes I wear on a daily basis would make both the health conscious and the fashion conscious cringe. I bought a pair of $20 boots for my work in the bakery last year, and 5-6 months later when I quit I had blown out the side of the right shoe to the point where a small chipmunk could have burrowed in there and been safe from winter’s fury, warm and nestled up against my intrinsic muscles. But I still wore them. Yep, I wear shoes til they just can’t shoe no more. I finally dumped those boots when my wife saw the hole and, to be completely fair, they had begun to smell a bit like an old, wet, and possibly decaying dog. Between all the mop water and melted snow and rain I’d slogged through filling the delivery van, and all the sweat and toil and flour dust and the occasional dollop of poppyseed filling or garlic butter, they had absorbed such a cocktail of horror that I felt no pain in chucking them in the bin. But in that case, I could write off the smell as a result of the situations, the conditions, so I didn’t think it was something I was actually doing. You see, the rest of my shoes aren’t doing so well, either. The newest pair I currently have are a pair of $9 Walmart specials I bought in desperation to help my sister move a few years back. After that, I bought a pair in desperation one day back in 2006 or 2007 when I had a singing gig and no black dress shoes to wear because I’d forgotten my old ones 300 miles away. Perhaps you’re seeing a theme in my shoe buying, mainly being that of desperation. I don’t like buying new shoes because A) It’s money I’d rather save to support a family or for that rainy day when a hospital bill or emergency causes both myself and my college-educated wife to scrape the barrel to avoid vagrancy, and B) because I grew up in a family where it was a point of pride to have a t shirt that lasted through three sons, or to superglue the sole of your Avias back on because it flapped and lolled like a dog’s tongue when you ran. When you don’t have much, you make it work for you rather than against. All but one of my shoes (the aforementioned $9 pair) have been worn to the point of leaking when wet. And, in case you haven’t noticed, it’s been a rather wet winter. Whether it’s tromping around a playground on monitor duty as a substitute teacher or slogging down a sidewalk to another part time job, my feet are now like a pair of liquid-cooled engines, propelling me forward with each resolute step in each 15 hour day I choose to undertake. In another effort to wring as much money as possible from the clothes I wear, I’ve started doubling up days on my socks if they haven’t gotten too heinous the day before. Less laundry is less money, after all. However, I’ve noticed that as I wear my socks more often, and as my shoes get considerably holier, that an odd set of circumstances has arisen in that my feet smell. Well, obviously they will in this situation, but it’s most particular in how they smell. They smell like my Dad’s used to smell. Yes, I have many horribly fond memories of my Dad’s feet in those dark socks and that foreboding odor. They say smell is the sense closest tied to memory, and I believe it. It was a running joke in my family’s house that remains to this day, where we shake our heads in shocked amazement as my mother’s cat will playfully romp around my Dad’s shoes, no doubt half-intoxicated and half-asphyxiated by the smell. But as I peeled off my busted shoes last night and caught a whiff of the past, it made me think: did my Dad work through so many thankless hours in shoes that leaked, like mine do? Did he double up days on his socks, like I did? And if so… why? I like to think that he did it for much the same reasons I do it now: saving money, providing for the family, and personal pride. After all, what kind of man is going to complain that his widdle tootsies are getting cold and wet? Pas une! So now a decades-old joke in my family has a new undertone, that of a man who possibly endured a rather uncomfortable situation as he slogged through muddy fields in spring, half-thawed cowyards in winter, and the soft, hot dirt of summer, not to mention the already decaying loam of fall, in shoes that probably felt horrible… but it meant we had enough to eat, and good winter coats, and at least for myself, we never felt as poor as we were growing up. At least, that’s the story I’d like to believe about my Dad. 2013. In about a month, I’ll have been writing on the internet for 9 years. Throughout my entire life, I remember slogans and propaganda “you are special” “you are unique” “the power of positive thinking.” And yet, at the same time my generation has been bombarded, possibly more than ever before, with influences of media which paint an absurdly inaccurate picture of life that will be: our future. To become ideal humans… we need to be hurt. I feel like I’m in a coffee shop, comfortable, warm, secure, and happy. Across the street, I see the other people in my life playing on the damn playground outside McDonald’s. I’m happy with my coffee, and I enjoy it quite a bit…but I still want to be with my friends. I don’t feel bad for being across the street, or like I can’t hang with my friends simply because they wanna have their Happy Meals. I’d just like someone to drink some coffee with me, ya know? I’m sick, tired, and depressed that it feels like I’m alone and I just can’t be silly and play at McDonald’s. We are sending, every year, more and more young people out into the world with the mindset of “I know my rights” and nothing else. They have not been punished, they have never been firmly told to follow a rule, they have never been expected to hold up a responsibility. What happens, then, when those formative years are lost, when the brain does not develop correctly, and the now-adults are unaware of what life will turn into? The word is stagnation. Without anyone there to cater to their every whim, these man-children will do one of two things: find someone or something that will, or simply complain. Without the knowledge and ability to properly uphold a responsibility, these children have never stopped being children, and now we are treated to a generation of workers that now feels that they need to be thanked and lauded simply for coming to work on time. -A real successful person does not need to talk about themselves, other people will talk for them. An individually strong life with a socially unfomfortable situation. Should you care more what other people think of you, or what you think of yourself? We have placed the “good feeling” of our students over the education they come to school to obtain in the hopes that, one treated like demigods, they will lower themselves to learn. For anyone who supports this approach, I will only tell you one thing: a demigod will never think that it needs to learn. When someone is placed upon such a pedestal and given the feeling that there is nothing wrong with them, the idea of getting an education is counterintuitive. This is just a symptom of a larger problem: the world is becoming increasingly self-focused, to the point where a basic conversation cannot take place in most situations. Additionally, the civilized world is becoming vastly anti-intellectual and anti-exceptional, an easy step to make from the current self-deification trend. When one is the God of their own universe, one could ask, there can be no one better. This is just a symptom of a larger problem: self-deification. When one is the God of their own universe, one could ask, there can be no one better. When the smallest hardship happens in the lives of these demi-Gods, it is inflated to ridiculous proportions and the blame is usually laid at the feet of some sort of trickster demon. More can be read here. I have to tell you, when I heard this at work, I was thankfully alone at the time. I rubbed those words like a soothing balm all over my body: now I have scientific proof that everything I was saying and what I was so worried about with my generation was right. I was right. After nearly a decade of wondering what was wrong with me, it’s a feeling that simply can’t be explained. If I wasn’t a married man, I’d say it was the best feeling I’d ever experienced, bar none. Of course, this also draws into fine relief just how exactly I was able to see these trends and these issues before so many others did. How? Because I was there. In many ways, I still am a very self-absorbed, narcissistic person. What can I say, I am a product of my generation. Thankfully, I have a wonderful wife and family who are trying to help me through it, and in the mean time I can do all I can to use my failings and my experiences to try to make sure this horror is not repeated for as long as I live… I hope. Hey, like I said, I’m still a work in progress. Allow me one last bit of narcissism, eh? I feel so good right now. Regular updates begin December 1. Thanks for sticking with me through all the toughness. Love you all. Even if you’re reading this site for the first time, all my love. The preceding is a music video featuring the lyrics to the song I am about to describe. I find it’s more powerful to listen to it without the visuals from a flawed, but musically sound film. I’ve always been a fan of freaks. Outcasts, if you will, particularly in celluloid. I own DVDs of both the Postman and Waterworld, and I’ve championed previously on this very site box office flops like Scott Pilgrim and The Thief and the Cobbler. As a child of the 80s, I was of course brought up under the voluminous ears of Mickey Mouse, and while I was sustained by the likes of The Little Mermaid and Sleeping Beauty in my earliest years, in my adulthood I have found it fascinating to look at some of the Disney films that didn’t do so well, and to use my advanced space-brain to see exactly why, and how, they failed. This brought me to Disney’s Hunchback of Notre Dame from 1996 that I consider a spiritual successor to Disney’s other film that dabbled in the adult and Disneyfied at the same time, and suffered a similar fate, 1985’s the Black Cauldron. To this day, I refuse to watch Disney’s Hunchback on the premise of that it’s a terrible idea, but my musically-inclined wife turned me onto the soundtrack, written by Alan Menken (who you might remember from most of Disney’s musical triumphs) and Stephen Schwartz, who wrote a little musical called Wicked. I’ll tell you this right now: the movie might be awful (and from the clips I’ve seen, it is) but the score is ambitious, breathtaking, and a definite must-listen. They really outdid themselves on this one; it’s just a shame they had to make George Costanza a wise-cracking gargoyle at the same time. So, why this torturous introduction? Certainly not for a review, as my demagoguery can only be stretched so thin, but rather to examine the song mentioned above. Yes, it’s your bog-standard Disney boilerplate of an “I Want” song, and it is predictable and obvious… but there is some reason that songs like this always survive through the years: they play on your emotions, they tug at your heartstrings, and sometimes… sometimes the moment is so right that you hear the song and you see fireworks, because it seems like some cosmic connection has made a perfect link between your emotions in that microsecond and the theme of the song, however banal. For me, it was driving to work at 12:45am. Get ready for THIS again! You see, I have a college degree, two teaching certificates, and a certificate of excellence from the state testing corporation. I passed the state teaching test for my subject with an 85th percentile, despite never having taken a class in three of the five subjects offered. Still, all of my hard work has yielded me a position buttering garlic toast at two o’clock in the morning. Meanwhile, while I mop the floors, I get to hear on the radio about people who not only help students cheat through college, but admit that they are aiding these students, who cannot even write a cogent sentence, to get a college degree that over-saturates the market with imbeciles and keeps me spending every night away from my wife to use my college degree putting bread into bags. I believe you’re seeing it now: locked away all night working, sleeping through the day, being told by the populous at large that I am apparently not worthy to work in the daylight… all the time yearning for just one chance to prove myself, to show myself, to live just one day out there like the other people. As I’m leaving work, I see other people sitting down to breakfast: businessmen in suits and ties, pensioners indulging in a daily routine that has spanned decades, office chums sipping coffee before a day at work. I used to hate them, resent them for having what I didn’t, but my resentment has cooled now into a small, damp pile of miseryguts, and to keep the fire extinguished I play songs like these that tell me to stay in here, to stay quiet and yearn for a better life while I wonder if it will ever come. If I was in their skin I’d treasure every instant. But I’m not. And so, early this morning, I will kiss my wife goodbye as she settles in for a good night’s sleep. 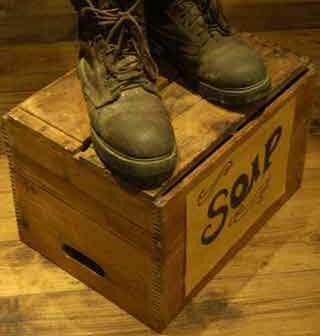 I will pull on ragged shoes that I am too stubborn to replace, because I swear a better job, a better life is just around the corner and I don’t want to ruin a new pair. I will climb into my car with half a bumper, a broken window, and all manner of strange noises that I don’t want to think about spending and replacing and I will drive through empty streets to crawl into a basement and do my work. And I won’t complain, I’ll try not to break down when the freshly baked bread reminds me of the warmth of my wife’s bed that I just recently left, I’ll try not to think about my diploma gathering dust in a bin in the basement of the house I rent. But I will play this song on my way to work. And I will sing my heart out to it into the cold and empty night as I drive past houses of people who are sleeping, as they should be. People that don’t know how good they have it, and possibly never will. If only I were in their skin.